Next to the endless shore of Ialyssos and its refreshing breeze, 6 km away from the airport and 7 km from the port of Rodes, amidst green palm trees and elegant water fountains in the area of Ixia, you will find the Avra Beach Resort Hotel & Bungalows that is capable of offering you an exciting stay experience on the island of Rhodes. The renovated 4 star hotel complex is built on one of the islands most cosmopolitan locations and offers superior hospitality services and modern facilities that will satisfy your every need. 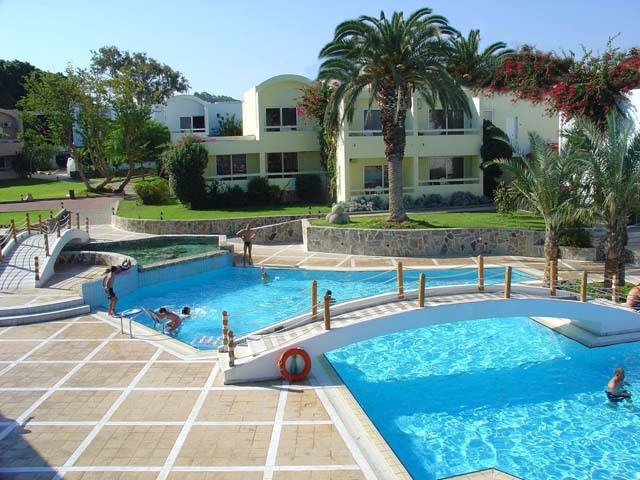 Avra Beach Resort Hotel & Bungalows resembles an oasis just a breath away from the beach, and only 6 km from the town of Rhodes. 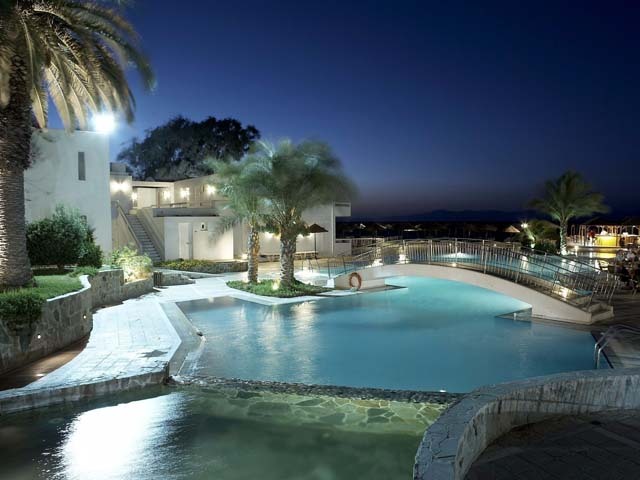 Whether contemplating a romantic escape, or a family holiday on the cosmopolitan island of Rhodes, you are sure to think of Avra Beach Resort Hotel & Bungalows, since the idyllic environment and the all-inclusive services it provides make it the perfect retreat for a wonderful vacation that every type of traveler will fully enjoy. 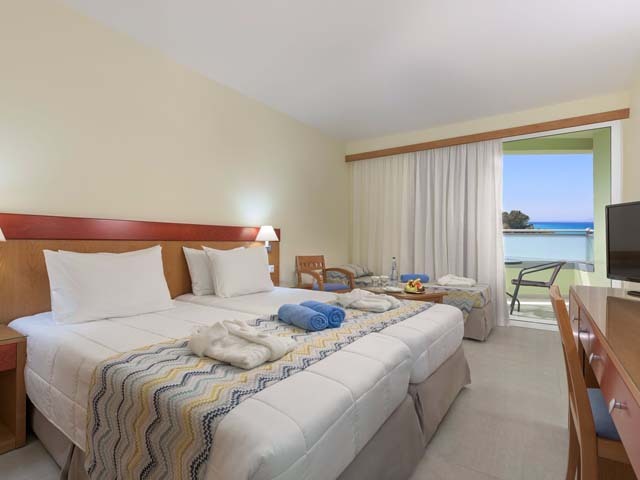 The well appointed rooms combine aesthetics with functionality while the comfortable facilities guarantee an unforgettable stay on the island of Knights, filled with moments of excitement and wellbeing in addition to a plethora of experience enhancing activities. Relax by the pool, enjoy the energizing effect of the jacuzzi, try some water sports action as well as other summer activities, or simply gaze into the deep blue of the Aegean from the beach bar’s verandah or from your own balcony, and you will be convinced that you are truly in a wondrous place. 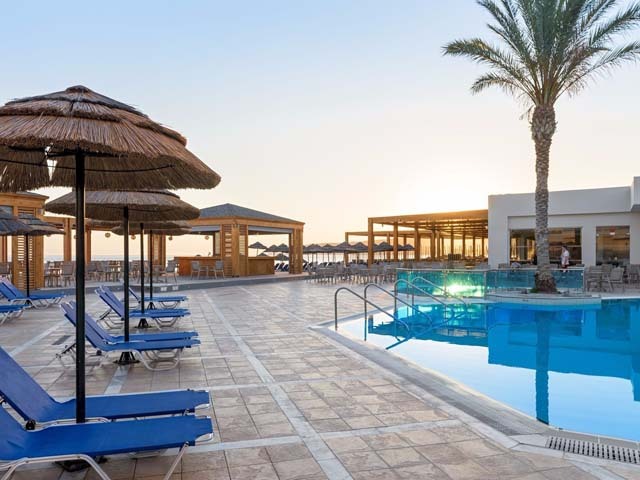 Your stay at Avra Beach Resort Hotel & Bungalows will provide the ultimate all-inclusive holiday experience on Rhodes island, and be the setting of a thrilling adventure that you will most certainly not soon forget. A beautiful beach with crystal clear waters as our facade, marvelous sunset views and a cosmopolitan air; this is what our location is all about. Whatever you are looking for on your holiday, Ixia has it all! 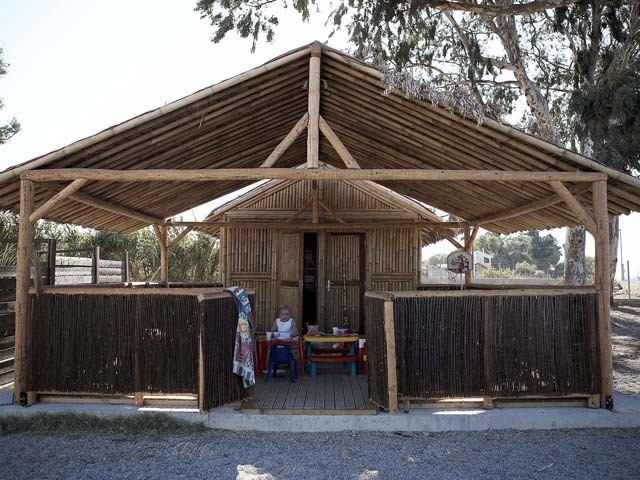 With touches of beauty from the medieval times of Rhodian history, the newly built settlement just 6 kilometers from the center of Rhodes, boasts of its endless beach, with its natural charm and perpetual popularity. All these elements that give Ixia the qualities of a popular resort making it the number one holiday destination for every traveler. And this is where the Avra ​​Beach Resort Hotel & Bungalows is located, a haven for a heavenly vacation for all! 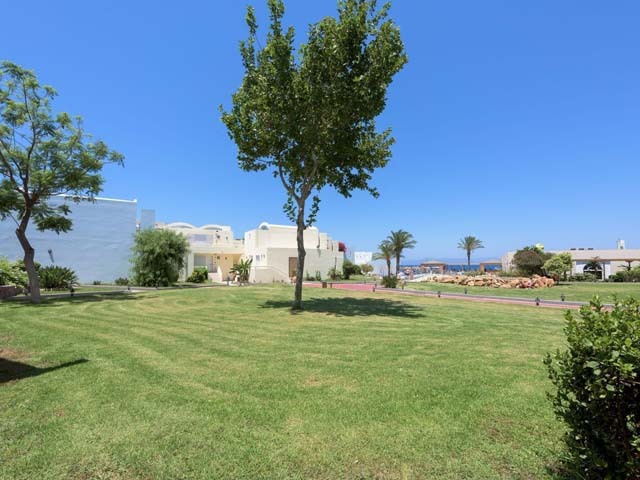 You will find Ixia between Rhodes town and Ialyssos, 7 km from the airport, and you will immediately recognize it by its endless beach, which is ideal for watersports and for spending many hours of relaxation by the sea, along with the refreshing Aegean breeze. 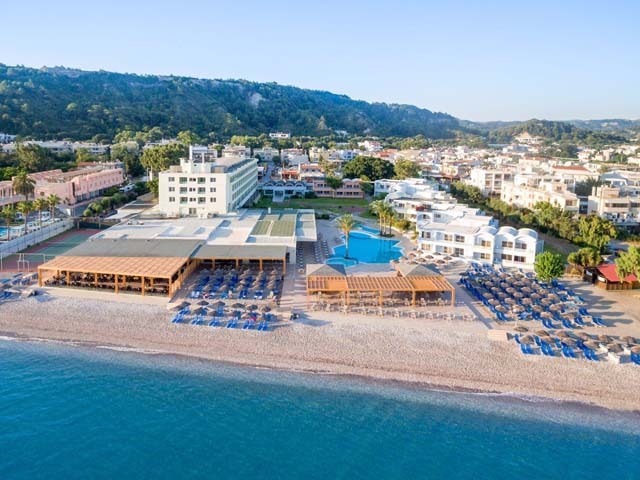 Allowing you to enjoy all the privileges of Rhodian hospitality without lifting a finger, Avra Beach Resort Hotel & Bungalows is the ideal place for you, since here the options for quality coffee, food and entertainment are many and are all at your feet! During your visit, do not miss the chance to explore the enchanting Old Town of Rhodes and travel to medieval times whilst admiring the famous castle of the Grand Master of Knights. A beautiful spot of interest in the surrounding area is Filerimos Hill in ancient Ialyssos, with the homonymous monastery giving it a special touch. 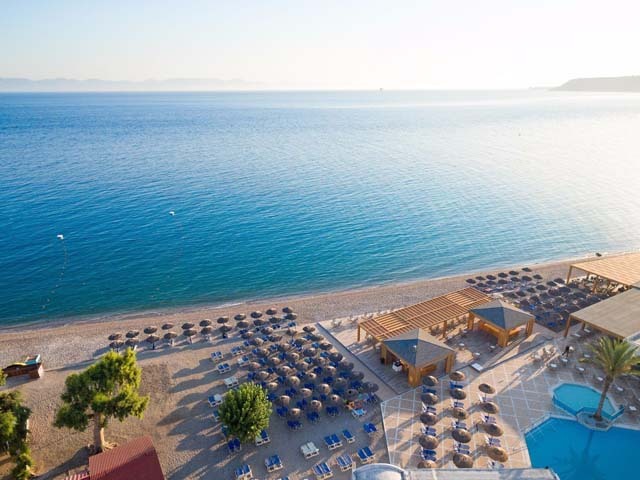 Whilst imagining your vacation on the island of the Knights, one thing is for sure: Ixia will offer you the perfect backdrop and welcome you to the allure of its endless beach. 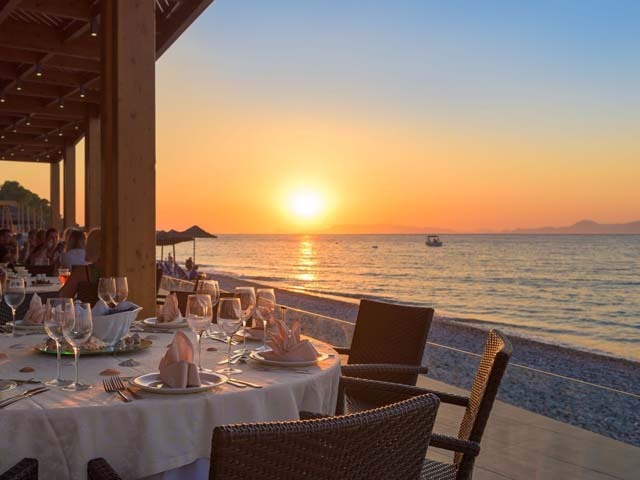 And on its beachfront, Avra ​​Beach Resort Hotel & Bungalows reserves the most successful holiday recipe just for you! 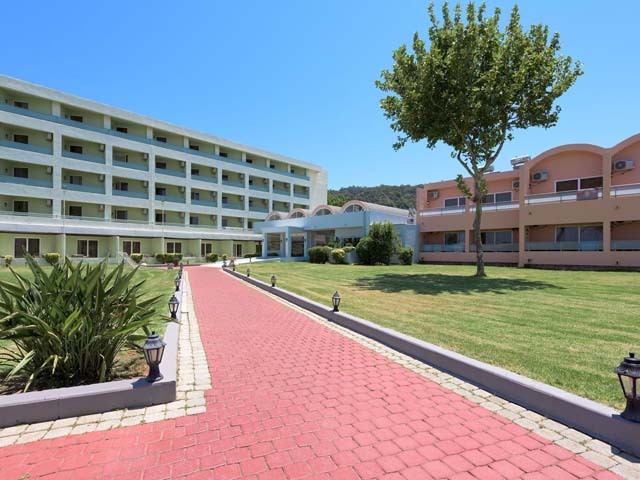 If what you are looking for, during your vacation, is comfort within luxurious facilities in front of the everblue Aegean sea, then Avra Beach Resort Hotel & Bungalows is the place for you. The 224 fully equipped rooms are designed to cover your every need whether you are visiting on a family vacation, or are on a romantic holiday. 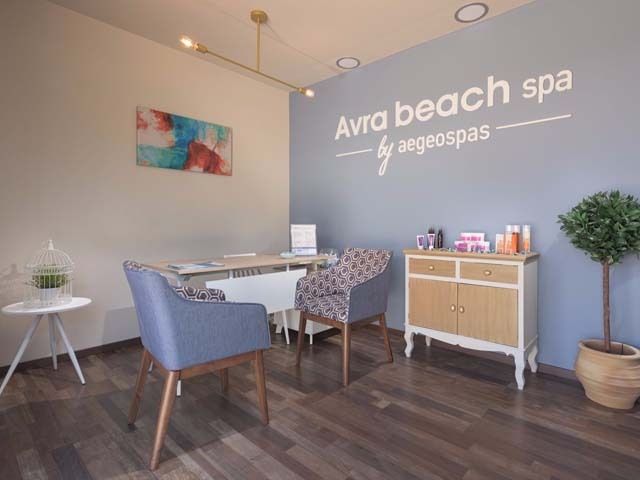 A complete list of facilities and services accompanies the warm hospitality of the Avra ​​Beach Resort & Bungalows, raising the bar of your stay in Rhodes. 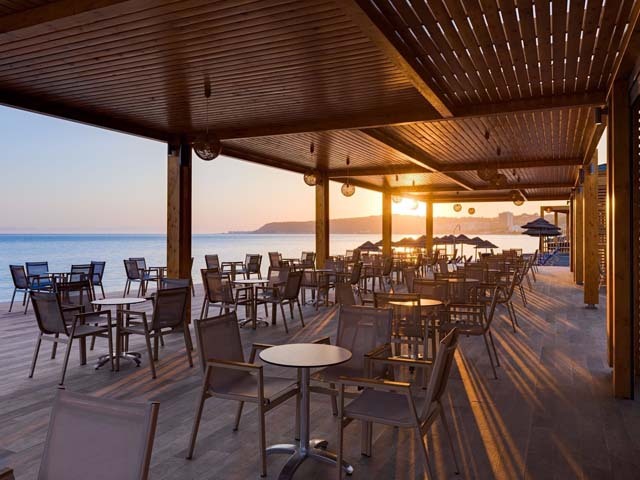 To make the most of your holiday on our island, your destination can only be our hotel, since it is situated on the beautiful beach of Ixia, where you will find a variety of gastronomic options, summer activities and a number of ways to relax. At our hotel's restaurant you will be able to taste unique recipes, local and international, made with the freshest of ingredients and the greatest of care. 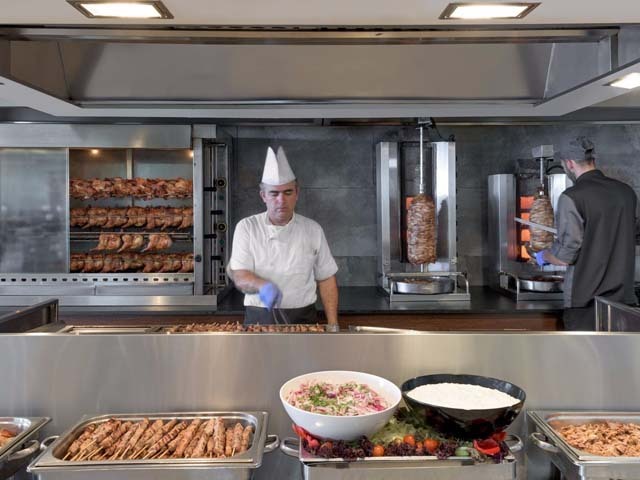 On a daily basis, our buffet and show cooking corner serve full breakfast, lunch and dinner options, in a variety of flavors and aromas and accompanied by fine local wines, beers and refreshments. The ideal spot for relaxation at Avra ​​Beach Resort Hotel & Bungalows is definitely our Beach Bar situated in between the pool and the beach, offering our guests endless moments of relaxation and enjoyment by the sea with an unlimited supply of refreshing beverages, coffees and drinks daily from 10am to 12pm. A meeting point for all our guests throughout the day (between 10am to 12am) is the Beach Snack Bar, located only few steps from the sea. 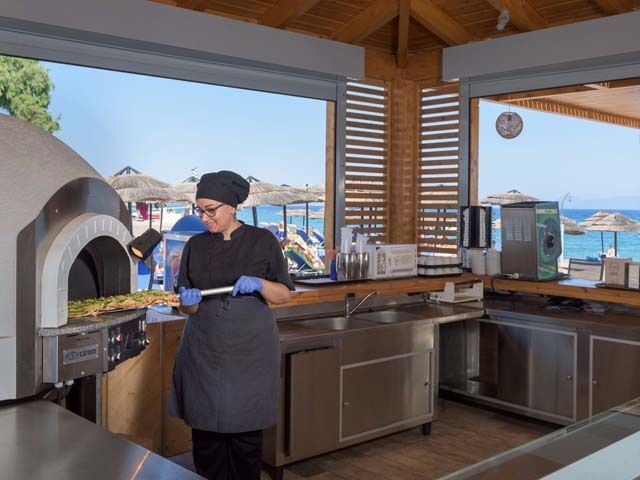 Here, you can enjoy our freshly baked pizza directly from our stone oven, in various flavors and with a variety of toppings, in addition to sandwiches, tortillas, puff pastries, a selection of ice creams, and a range of beverages that can accompanied by traditional cookies. 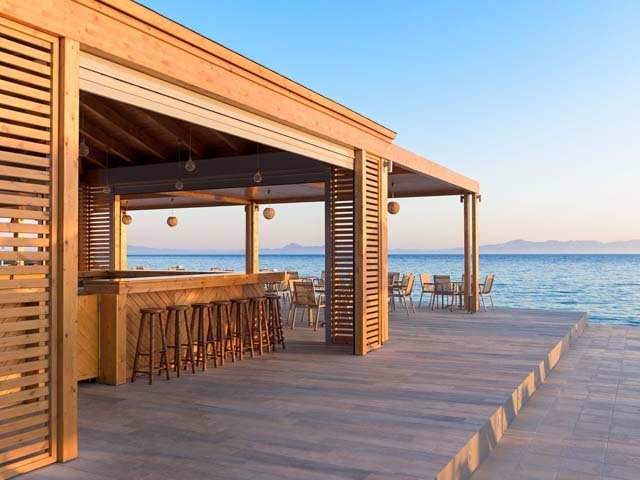 Around the Snack Bar, our guests can take a seat at one of the tables in order to enjoy their snacks or drinks, while gazing at the endless blue. Diving into our pool equals diving into pleasure! The hotel's freshwater swimming pool is set amidst the sea and the lush garden, while it is surrounded by palm trees that all together create the most idyllic scenery, of beautiful colors especially while the sun sets. The pool’s waters are only a few steps from the sea and appear as if they are poured into the Aegean, creating a beautiful optical illusion. Our pool waterfall revitalizes the water that flows thus creating a landscape of absolute relaxation and well-being. Sunloungers and parasols provide the shade you need after your dip or when you need a break from being in the summer sun. 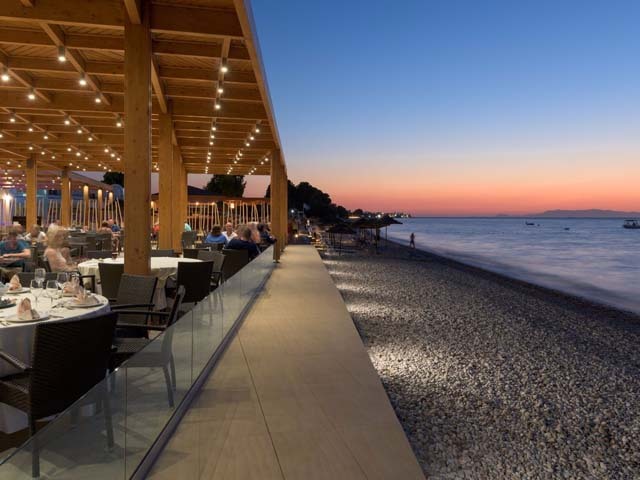 The beautiful beach of Ixia is famous for its long coastline which gives it special popularity, making it a highlight and a hot spot of Rhodes. Only a stone’s throw from the hotel, it is a great place for enjoying water sports activities as well as simply relaxing and enjoying the natural landscape views of the Aegean blue. Our hotel is a paradise for children, since it caters for a variety of entertainment options that our little friends will simply love. The Kids Club facilities include a colorful playroom, (mini club with animators) a children's pool, a place to watch cartoons, plus animation shows and performances. In addition, our little guests can enjoy some fun entertainment evenings, available each night if they so desire, by dancing to sounds of our mini disco, in a specially designed venue, just for them. At Avra ​​Beach Resort Hotel & Bungalows you will enjoy all the privileges of an all-inclusive experience, accompanied by high quality hospitality services. Get ready to immerse yourself in a fully satisfying gastronomic experience without limits, through tasting unique Rhodian recipes as well as international flavors and thematic cuisine options, throughout the day. Full breakfast buffet from 7:00 to 9:30, where you can enjoy coffee, juices, tea, cheeses, jams, cereals, cakes, eggs and omelletes, waffles, pancakes and variety of bread types. 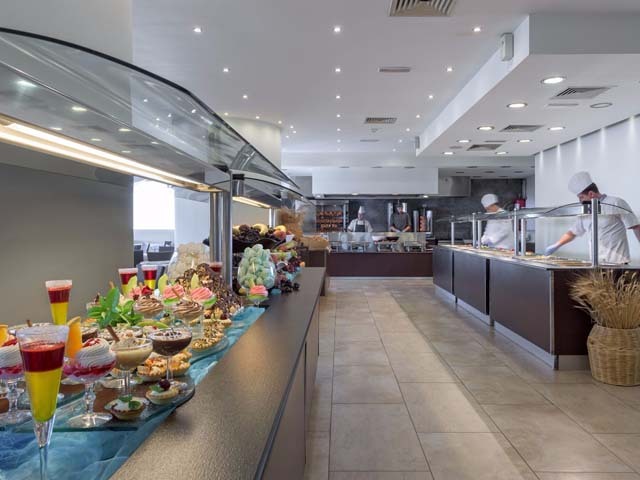 Lunch buffet from 12:30 to 14:30 and Dinner buffet from 19:00 to 21:30 daily at our restaurant, with local and international flavors and a wide variety of fresh salads, also featuring a show kitchen in both cases. Here you will taste our specialties as well as a wide range of local and international flavours. 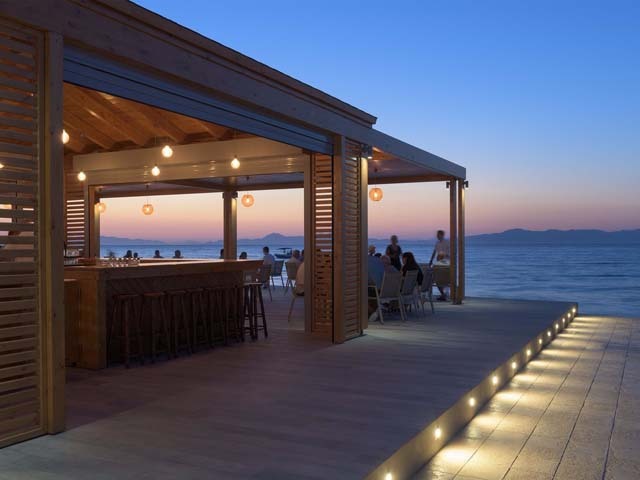 Drinks and beverages at the hotels Beach Bar from 10:00 to 24:00, at the Main Bar between 19:00 to 24:00. Savoury and sweet snacks are available at the Snack Bar between 10:00 and 24:00. You can choose from pizza, sandwiches, puff pastries, tortillas, traditional cookies, ice cream, refreshments, coffee, tea etc. Sun beds surrounding the pool as well as on the beach. A/C included 15/06 - 15/09 approx depends on the weather. Special Offer up to 35% OFF !! LIMITED TIME !! 22.05.19 - 04.06.19 !! 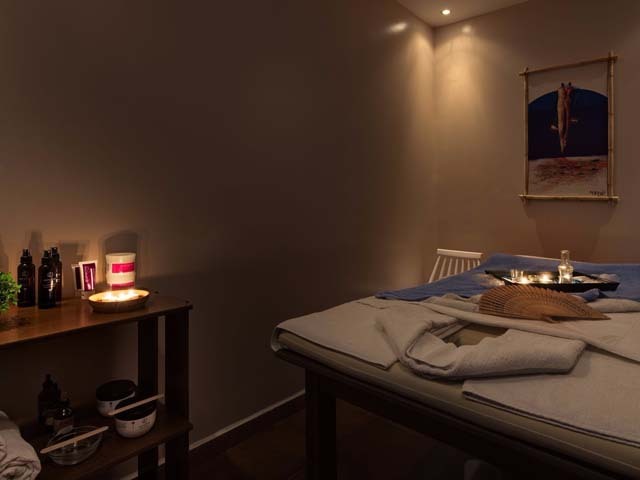 Book NOW and save up to 35% !! Valid for the stay : 22.05.19 - 04.06.19 !! Limited Time Offer !! Super Offer up to 30 % OFF !! The offer is valid for the stay : 07.07.19 - 24.07.19 ! !